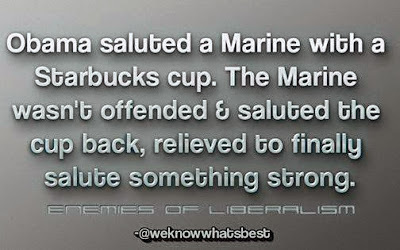 I am not among those deeply offended by the President's Starbucks salute to his Marine guard. Technically, as a civilian, he shouldn't be saluting at all. The great Ronald Reagan started that practice, with excellent intentions but to my mind not the best results. In any case, when people feel impotent they start nitpicking, and the anger over the half-hearted salute seems to me to be displaced anger about everything else. 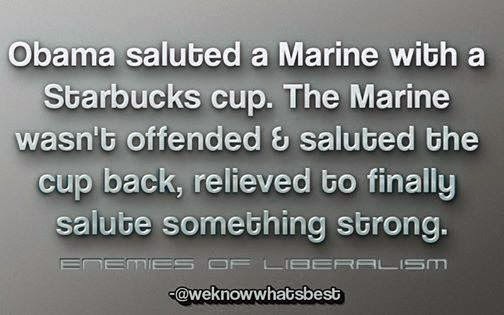 The salute or lack thereof couldn't in itself be less important.